Have you always dreamed of owning a second home, somewhere you could come for a weekend getaway, a summer visit or a winter retreat? Ginn sur Mer is the ultimate vacation destination. Year-round sunshine and mild temperatures. Beautiful beaches with emerald green water. Amazing amenities, five-star services and a virtual feast of activities to delight everyone in the family. All this, just a short flight or boat-ride away from home. If Ginn sur Mer sounds like the vacation home you've always dreamed of owning, now is the perfect time to explore your options. You can take advantage of pre-construction pricing and expansive inventory availability. 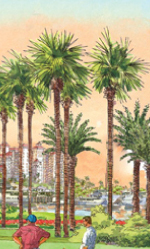 Ginn sur Mer will have approximately 1,800 single-family home sites, some oceanfront, some ocean view, some on golf courses and some with deep water docks and 60 foot boat slips. Your home can be custom built to meet your specific needs and desires. The building process is guaranteed to be 100% hassle-free. Ginn Clubs & Resorts oversees all aspects of construction, working with the different trades and craftsmen to ensure quality every step of the way. 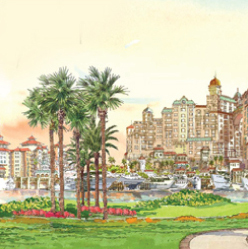 Once built, Ginn Clubs & Resorts will also care for your home, ensuring hassle-free ownership. Ginn provides all maintenance, lawn care and pool care. It even includes and five-star concierge services. That's right - just call and mention that you're coming for the weekend, and the refrigerator will be stocked, your boat fueled, even your fishing cooler filled with your favorite snacks and beer. You can reserve a Ginn sur Mer home site now at pre-construction pricing starting at approximately $650,000. 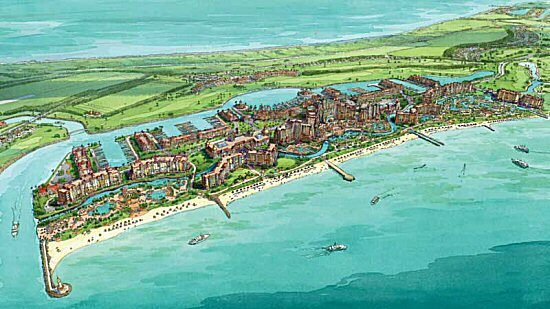 Ginn sur Mer will have approximately 400 cottages. The first phase is currently under development and includes 190 cottages. 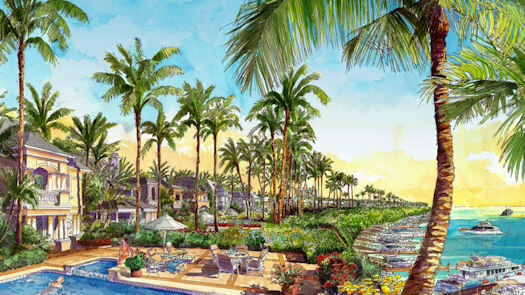 These ultra-luxurious, single-family homes will be located in the resort core of Ginn sur Mer. They will be in close proximity to the heart of the community with all its restaurants, shopping, the casino, waterparks, nightclubs and more. 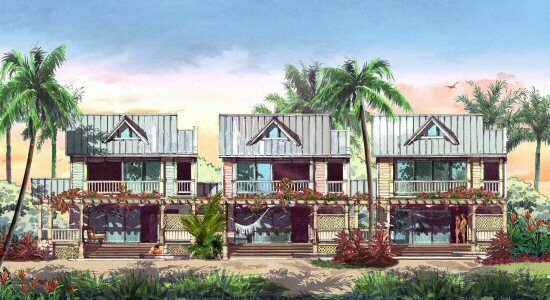 The concept behind these cottages is to offer a stand-alone one- or two-bedroom condo focused on the highest level of service and privacy. Yet owners will be within minutes of the main building and able to enjoy all of its amenities. These cottages will also be infused with the spa component of Ginn sur Mer and all spa services will be available to owners in the privacy of their own cottage. Each cottage will come fully furnished and will have its own private pool. Available are oceanfront as well as canal and marina views. If a single-family house is more than you want in a vacation home, consider one of Ginn sur Mer's 4,400 luxurious condo hotel units. These will be exceptional, fully-furnished, designer-decorated condominiums. 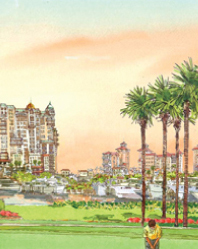 Most of the condo hotel units will be in the Grand Palace, near the "amenity core" where the casino, large beach club, marina and restaurants will be located. 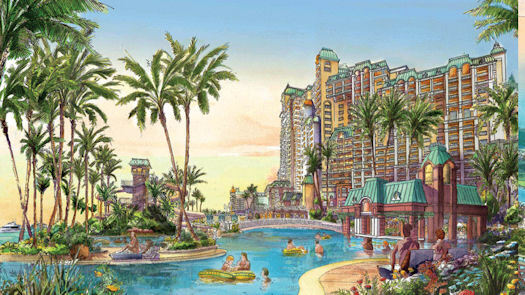 Other condo hotel buildings ranging from four to 20 stories will be spread throughout the resort, offering living options to meet your personal preferences. Condo hotel units will soon be available in a variety of configurations and sizes. They'll include studios, and one-, two-, three- and four-bedroom units and range in size from 900 square feet to 4,000 square feet. A few select penthouse units may be as large as 10,000 square feet, but this has yet to be firmly decided. Prices on the condo hotel units have not yet been determined. Estimates, subject to change, are approximately $1,000 per square foot. 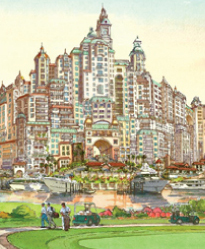 The condo hotel units are expected to be offered at pre-construction prices in 2009, however a preliminary reservation list is already being compiled. We can add you to that list and let you know as soon as the units become available. 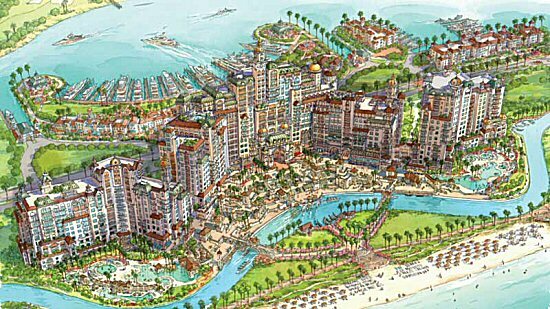 Plus we'll keep you informed of all new developments, construction status and investment opportunities at Ginn sur Mer. If you think you might be interested in exploring ownership opportunities at Ginn sur Mer, whether a single family home, a cottage, or a condo hotel unit, contact us today to answer your questions and discuss availability.